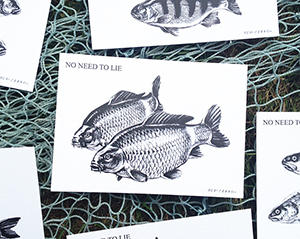 This set of 10 postcards includes each species covered in No Need To Lie - Chub, Carp, Pike, Perch, Roach, Bream, Trout, Tench, Barbel and Dace. The back of each card has short quote taken from the corresponding chapter, leaving space for a message. 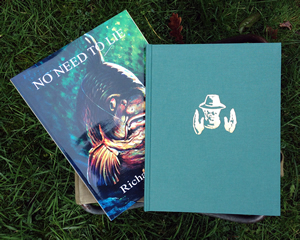 To celebrate the publication of No Need to Lie in 1964, a special limited edition reprint of the original was released in December 2014. 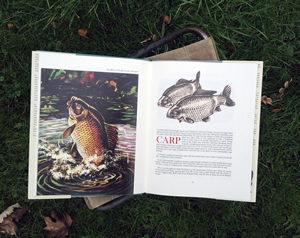 Chapters on Chub, Carp, Pike, Perch, Roach, Bream, Trout, Tench, Barbel, Dace. Plus Broadcasting, Newspapers, Odds & Ends. GOLD embossed frontispiece and spine. Priced at £35 with FREE delivery (to UK Mainland). 30 numbered leather with slipcases were also produced at £199. Click here for full details or to order your copy. Click here for the leather edition details.